A new Australian mobile company is hoping to shake up the way we pay for our phone calls, with innovations around how plans are created, how tech support is accessed and discounts for members who connect to other members through Facebook. Yatango, now in beta, requires a Facebook account to join and offers cheaper calls rates when calls are made to other "connections" on the same network. Regular calls cost around 15-cents per minute, but calls to Yatango connections cost only 8-cents. There is no flag-fall fee on any calls. Calls will be cheaper still when Yatango grows its subscriber database. 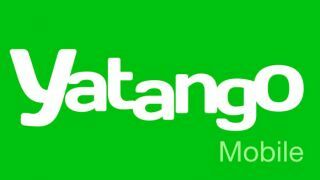 At 25,000 customers, Yatango will be three per cent cheaper to all subscribers, four per cent cheaper at 50,000 customers and five per cent cheaper when the subscriber base reaches the 100,000 milestone. Customers are encouraged to design their own plans when creating a new account; choosing how much data they plan to use, and how many calls and text messages they plan to send. This creates a personalised monthly tariff which can be paid by credit card or with a monthly pre-paid top-up voucher. If you decide that the plan you have created is not for you, you can adjust each of the settings at any time during the month, and pay for the new settings when your plan is renewed. Customers who require more than one SIM card for use in multiple devices -- a phone, a tablet and a modem, for example -- can combine the charges accrued for all these SIMs onto one account. More controversial will be the way the telco plans to approach customer support. In an effort to keep costs down, Yatango will look to its growing community to field common questions about the service and to provide technical support, where possible. In return, customers offering help will be paid in credit to go towards their next bill. There will be limited support provided by the company for more serious connection issues, but the bulk of complaints will be heard by the community first. At launch, Yatango is a 2G/3G service only, piggybacking on the Optus network and offering coverage to 97% of the Australian population. 4G service is on the way though, with plans to include the faster speeds later in the year.